LAKE FRONT HOME in Gorgeous Doe Valley with Dock Permit!! Lake Front homes in Doe Valley are a Very Rare and won't last long. Enjoy Boating, Fishing or just floating on the water with friends and family in the sun. Your home will be the destination everybody wants to visit so you'll need a little extra room. 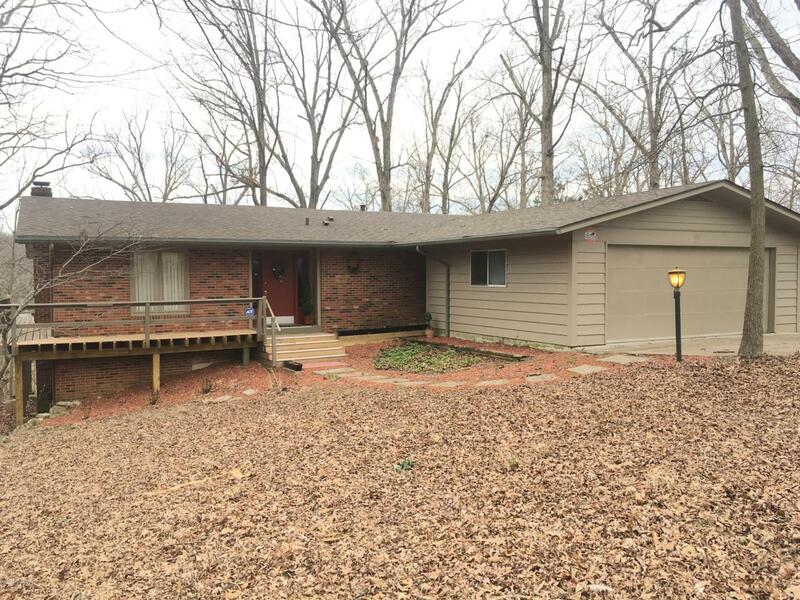 This Spacious 4 Bedroom 3 Bath home includes a with Wrap Around Deck, Den with Fireplace (could be 5th bedroom), Family Room, Game Room/TV Room, Huge Living Room with Fireplace, Walk Out Finished Basement, 2 Car Garage, Hardwood Floors, Upstairs Laundry and Master Bedroom with Master Bath. Oh, did I mention the Doe Valley HOA dues are optional? Yes, I said Optional. OR you can opt-in for the summer and opt-out for the winter to enjoy the amenities when you prefer.Very few homes in Doe Valley have this option. Located in the Estates Section of Doe Valley with amenities that include a 360 acre lake, marina, two beaches, club house, golf course, tennis courts, private security, play grounds, pool and camping. Living in Doe Valley and Live a Life Style. Call us for your Private showing today!